Forest drives, rainforest walks and waterfalls. The forest of the Otways are dominated by tall eucalyptus, such as Mountain Ash, Messmate, Manna Gum, Grey Gum and Blue Gum. There are countless waterfalls and rainforest walks for you to experience. Some popular ones are Maits Rest near Apollo Bay and Melba Gully near Lavers Hill, where you can also see glow worms at night time. 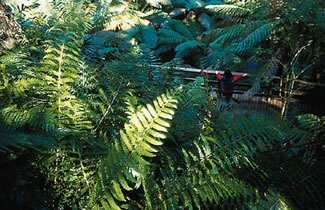 Triplet Falls, near the Otway Fly, has just had extensive track work and viewing platforms constructed. It is very impressive and well worth a visit – especially over the Winter months when the waterfalls are flowing at their strongest. 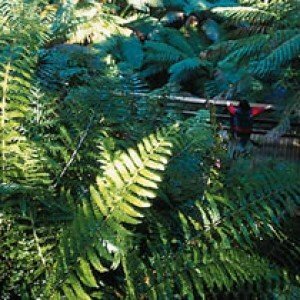 Marriners Falls, on the Barham River road near Apollo Bay, is an easy 1km walk through beautiful forest to the waterfall.